Aeroplane, 1929- "Attic and Cellar"
It's not often that Force Field PR sends us info on one of our very own, but they did today. But first refresh your memory with our Procedure Club post from earlier this year. 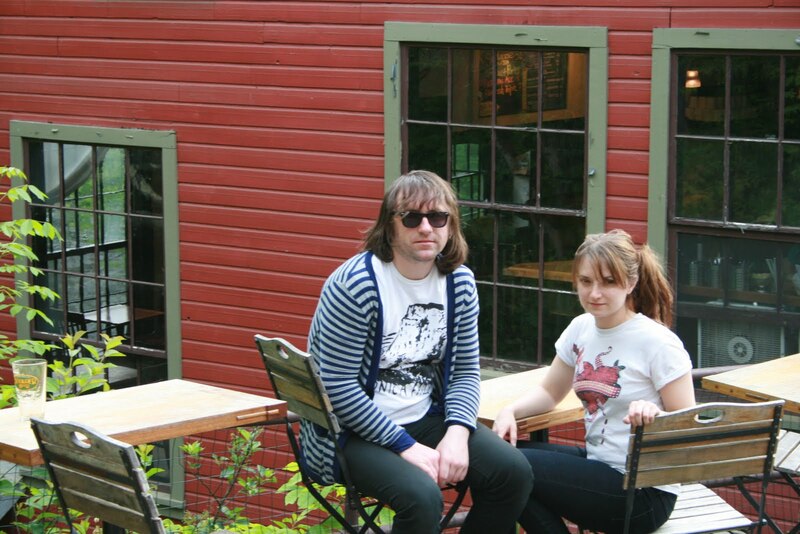 Procedure Club is a collaborative "bedroom-pop" project founded by Andrea and Polish emigré Adam Malec in New Haven, Connecticut in 2008. The two began recording as a natural progression from their boredom with living in poverty in New Haven, sharing musical tastes in shoegaze and pop bands of the 80s and 90s, such as Black Tambourine, and The Jesus and Mary Chain, as well as a common admiration for Baroque artists such as Purcell and Bach. Out of this god-forsaken alliance comes Procedure Club, in which Adam and Andrea have combined melodic song structures with heavily reverbed vocals, stuttering mechanical drum beats, dirty bass, synths, and alternately washed-out and jangly guitars. Following on from a well-received string of tapes and CDRs, they've put together their first "proper" album and it's a corker. Doomed Forever noisy lo-fi pop with the emphasis on NOISE. From the pure synth pop of "Feel Sorry For Me" to the overdriven swoon of "Dead Bird" to the blown-out "Nautical Song," carefully constructed tunes are given a fierce work-over by layers of guitar fuzz and synth scree. Songs like "Vermont" and "Artificial Light" could practically be some lost C86 gems, while "Awfully Managed Pigeons" looks back to early Velvet Underground's garage racket (check the sick Cale-esque bassline) and "Rather" fondly recalls Linton's late Henry's Dress/Aislers Set classics. Throughout, Andrea's vocals are the secret weapon, neatly playing catchy melodies off the drum machine clatter and guitar haze. 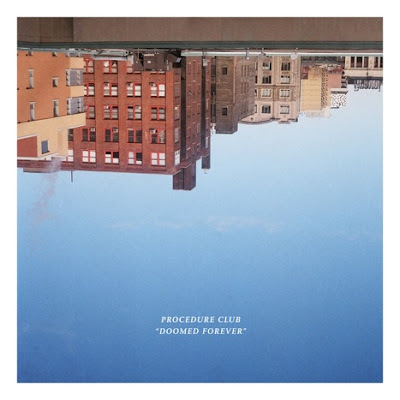 What Procedure Club manage to pull off so well on Doomed Forever is striking just the right balance between the songs and the noise, between structure and chaos. Rather than allowing the recording methodology to stand-in for tunes and ideas, they've created a rather amazing record where those parts mesh perfectly and create a unique soundworld that challenges the ear as it coaxes you in with melody. MP3: "Feel Sorry for Me"